[EN] Do you want to promote some Creative Commons music? Organize a nice DAAP Party! My post about DAAP protocol has not been written scopeless. My obiective was to introduce it to you before posting some DAAP-based ideas I have. Fundamentally, I’d organize a DAAP Party to advertise the nicest Creative Commons music out there and to favor the birth of new friends based on common musical taste, while the owners of a netlabel could organize it to promote their artists spending few dollars. * a notebook with wi-fi chipset for every partaker (not provided). Every partaker can decide to just listen shared music or to both listen and share the mp3s saved on his/her computer. The second approach is the suggested one, but not the obligated one. Depending on his/her answer, the DAAP Party committee will install on his/her computer a client software or a client/server one, if he/she has not yet it. Every partaker who decides to share music will rename his/her shared libray to his/her name or nick, so “who listen to what” will be easily recognizable for the scope of friendship. 5. Why Firefly Media Server on the computer that acts like server? Why use Firefly on the old desktop computer I talked about before and not, for example, daapd or Tangerine? 2. it’s simple to configure and use: you have just to define in what folder you saved the audio files and start the server, it will do the rest! 3. it’s multiplatform, so you can use as server whatever computer running whatever operating system. The first point is particularly important. Not using Firefly means that you committee have to previously transcode all non-mp3s files to mp3 -before- starting sharing, wasting time and cpu-cycles. This has to be done to mantain compatibility with iTunes. Using Firefly will avoid this wast, because it does the job for you on every iTunes-client request. Very handy. 2. The partakers using iTunes 7.0 or later, because of some limitations introduced by Apple in the original version of DAAP, will be able to listen to shared music but not to share their music to the partakers who don’t use iTunes 7.0 or later. This problem could be solved by pushing them to install an alternative client. 3. The original DAAP protocol has been designed to support max 5 unique IP addresses in the same local subnet for 24 hours. This means that the DAAP Party partakers can’t be more than 4 (one IP address is reserved for the server described above). Since I don’t own 6 computers, I didn’t test if this limit is valid also for the “open” version of DAAP (the one used by all the players except iTunes), but if we discover than this limit is not valid for it, we could solve the max 5 IPs problem just not using iTunes. 1. Netlabels owners can organize a DAAP Party to promote their artists. 2. The committee of a Linux Day could provide a DAAP service during all the days of the event, as support of eventual keynotes about Creative Commons and other open licenses or just to promote the free music sharing and downloading (clients as Banshee permit to copy DAAP-available music on local disk with a simple drag’n’drop). 3. A bar or a pub could setup a free DAAP service dedicated to its geek customers. [IT] Vuoi promuovere la musica Creative Commons? Organizza un bel DAAP Party! Il mio post relativo al protocollo DAAP (*LINK*) non è un post fatto a caso. Il mio intento era introdurre tale protocollo per poi scrivere una serie di post su alcune idee che lo riguardano. Principalmente, io organizzerei un DAAP Party per promuovere musica Creative Commons e per favorire la nascita di nuove amicizie in base ai comuni gusti musicali, mentre i gestori di una netlabel potrebbero organizzarlo per promuovere la musica dei propri artisti con una spesa davvero contenuta. * un computer portatile con chipset wi-fi per ogni partecipante (non fornito dagli organizzatori). Ad ogni partecipante sarà chiesto se voglia solo ascoltare la musica condivisa degli altri o voglia a sua volta condividere gli mp3 presenti sul proprio computer. Il secondo approccio è ovviamente consigliato, ma non obbligatorio. In base alla sua risposta, gli organizzatori gli forniranno un software solo client o client/server, se non ne fosse già dotato. Probabilmente gli utenti Linux avranno già a disposizione un software compatibile con il protocollo DAAP installato nella propria Linux-box, tipo Banshee, Amarok o Rhytmbox, così come gli utenti Mac avranno iTunes. Sarà poi chiesto ad ogni partecipante di rinominare la propria condivisione con il proprio nome o nick, in modo che sia facile per altri risalire a chi ascolta cosa e fare amicizia. 5. Perchè Firefly Media server? Perchè installare sul desktop Firefly e non, ad esempio, Tangerine o daapd? 2. è semplice da utilizzare e configurare: basta dirgli in quale cartella sono situati i file audio e avviare il server, e lui provvederà al resto! 3. è multipiattaforma, quindi potrebbe permettere agli organizzatori di riutilizzare come server qualsiasi computer a loro disposizione, a prescindere dal sistema operativo installato. Il primo punto è particolarmente importante. 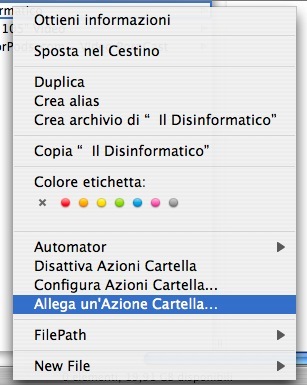 Se, infatti, dal server condividessimo file in formati differenti dall’mp3, gli utenti iTunes non sarebbero in grado di riprodurli. Gli organizzatori, volendo usare un software diverso, dovrebbero quindi riconvertire tutti gli Ogg Vorbis o i FLAC in formato mp3, con conseguente perdita di tempo/cicli di CPU. Usando Firefly tale problema non esiste, perchè provvede lui, su eventuale richiesta di un client iTunes, a transcodificare on-the-fly in mp3 il file scelto. 1. Se il DAAP Party è pubblico e un partecipante intende condividere della musica protetta da copyright, gli organizzatori dovranno fargli firmare un foglio in cui egli sottoscrive di essere a conoscenza dei pericoli legali legati a tale pratica, di prendersi le proprie responsabilità etc etc. 2. Se qualche partecipante utilizza iTunes 7.0 o superiore, per via di alcune limitazioni introdotte da Apple nel protocollo DAAP, potrà ascoltare la musica condivisa dagli altri ma non potrà far ascoltare la sua da chi NON usa iTunes 7.0 o superiore. Una possibile soluzione a questo problema potrebbe essere quella di fargli installare un software alternativo per la sua piattaforma. 3. Il protocollo DAAP originale è stato concepito per supportare massimo 5 indirizzi IP unici nella stessa subnet locale nell’arco di 24 ore. Ciò significa che non potranno partecipare al DAAP Party più di 4 persone (1 indirizzo IP è dedicato al server con musica Creative Commons). Non ho avuto modo di testare, non avendo 6 computer a disposizione, se tale limite sia valido anche per le implementazioni “open” del DAP, perchè se così non fosse, basterebbe che nessun partecipante usi iTunes. As you noticed if you read the other posts of this blog, I’m very involved in topics like: music sharing/streaming on LANs/WLANs, centralized media storage, home entertainment setups, server/client architectures applied to media contents distribution inside a house or other kinds of buildings, “silent festival” experiments (where every people who takes part in listen to music via a pair of wi-fi headphone provided by festival managment) etc..
One of the most beautiful thing about nowadays technology is that with relatively few money you can set up in your house or whatever else a nice wi-fi/cabled media contents (music, movies, podcasts, photos etc) management and distribution system, where, for example, an old recycled Pentium III-based computer with some big hard disks attached to it acts like a “(media) server”, while all the others computers of the house, both desktops and laptops, act like “clients”. Imagine to own 2 Terabytes of music, nicely archived on a 4x 500GB (or 2x 1TB) RAID system, available for listening to your laptop via wi-fi -without- having any single byte wasted for mp3s on its tiny internal 2.5′ drive =) Everybody in your house, including your nerdy grannie, could start listening to months of non-stop music in some seconds and with a minimal effort. 2.000.000MB = 500.000 minutes of music in mp3 format = 8333 ca. hours = 347 ca. days = 11 ca. months!! Yeah, you got it! 2TB of music is like 11 months of non-stop music! That should be enough for your daily music needs, doesn’t it? =) But this is not the point of this article. b) it’s easy: you need just to activate the appropriate option inside iTunes Preferences for every client and you have done: all the copies of iTunes in the same LAN will start seeing them each others automagically and you will be able to listen to your buddies music, sort it by artist/album/genre etc. The first problem with DAAP, or at least with the original Apple version of it, is the 5 unique IP addresses thing. In fact, it means that If a sixth buddy comes to you house and wants to join your music-sharing LAN, he will not able to do so because of that limit. That’s why iTunes sharing is intended for personal needs only, and for that it works great, because usually in your house there aren’t more than 4-5 persons with a personal computer. In the software that uses a reverse-engineered version of DAAP (Firefly Media Server, Banshee, Tangerine etc) this limit seems to not exist (I didn’t test it myself, because I just own 3 computers). “With iTunes 7.0, a new ‘Client-DAAP-Validation’ header hash is needed when connecting to an iTunes 7.0 server. This does not affect 3rd party DAAP servers, but all current DAAP clients (including official iTunes before iTunes 7.0) will fail to connect to an iTunes 7.0 server, receiving a ‘403 Forbidden’ HTTP error”. This means that if you runs iTunes 7.0+ but your buddies are stuck with iTunes 6.0 (or earlier) or they prefere a thirdy-party DAAP-compatible player (like the good Banshee for Linux), you will be able to stream music from their libraries but they will not be able to listen from your computer, because of the different autenthication method. This problem can be partially solved by upgrading your copy of iTunes to the latest available: version 7.0 brings the nice Coverflow feature in it and supports multiple libraries, so the upgrade is well worth i think. But If your buddies doesn’t run Windows or Mac operating systems or they don’t want/can use iTunes or they can’t upgrade (iTunes 7.0 eats a bit more of resources compared to iTunes 6.0), they are out of the game. If the music is the centralized on an unique machine (like the 2TB beast I imagined in the first paragraph), the problem can be solved in a breeze: just share music using iTunes 6.0 (or earlier) or a thirdy-party DAAP-server, like the wonderful Firefly Media Server (open source and multi-platform). I use iTunes since version 4.7 or 4.9 and I always appreciated its sharing abilities. As every Apple product or technology, DAAP works always, everywhere and you don’t need to read a 128+ manual just to configure it. When I hadn’t a router, I used DAAP many times on ad-hoc wlans (an “ad-hoc wlan” is a wifi network between 2+ computers without using an access point or a router) and via cross-patch cables. All always worked greatly. The streaming quality is amazing and also on a modest 802.11b wlan audio never lags. Come avrete notato leggendo gli altri post di questo blog, mi stanno particolarmente a cuore tematiche quali: la condivisione e lo streaming di musica all’interno di LAN e WLAN, l’archiviazione centralizzata di contenuti multimediali, sistemi di intrattenimento casalingo, architetture server/client applicate alla distribuzione di contenuti multimediali all’interno di una casa o di altre tipologie di edifici, esperimenti di “festival silenziosi” (festival in cui ogni partecipante ascolta la musica tramite un paio di cuffie wi-fi) etc..
2.000.000MB = 500.000 minuti di musica in formato mp3 = 8333 ore circa = 347 giorni circa = 11 mesi circa!! Sì, hai capito bene! 2TB di musica sono tipo 11 mesi di musica non-stop! Dovrebbero essere abbastanza per il tuo bisogno giornaliero di musica, no? =) Ma questo non è l’argomento di questo articolo. b) è semplice: dovete solo attivare l’opzione appropriata all’interno delle Preferenze di iTunes per ogni client e avete finito: tutte le copie di iTunes all’interno della stessa LAN inizieranno a vedersi a vicenda automaticamente and sarete in grado di ascoltare la musica dei vostri amici, ordinarla per artista/album/genere etc..
Il primo problema con il protocollo DAAP, o perlomeno con la sua versione originale sviluppata da Apple, è il fatto dei 5 indirizzi IP unici. Infatti, ciò significa che se un sesto amico viene a casa vostra e vuole partecipare alla vostra LAN di musica condivisa, non potrà farlo a causa di tale limite. Questo perchè la condivisione tramite iTunes è intesa solo per uso personale, e per tale scopo funziona alla grande, perchè di solito in casa vostra non ci sono più di 4-5 persone con un computer personale. Nei programmi che fanno uso di una versione “reverse-engineered” del protocollo DAAP (tipo Firefly Media Server, Banshee, Tangerine etc) questo limite sembra non esistere (non ho testato di persona perchè posseggo solo 3 computer). “Con il rilascio di iTunes 7.0, un nuovo tipo di validazione lato-client è necessaria per connettersi ad un server iTunes 7.0. Ciò non riguarda i server DAAP di terze parti, ma tutti i client DAAP attuali (incluse le versioni precedenti di iTunes) falliranno nel connettersi ad un server iTunes 7.0, ricevendo un errore 403”. Questo significa che se usi iTunes 7.0+ ma i tuoi amici sono fermi ad iTunes 6.0 (o versioni precedenti) o preferiscono un lettore DAAP-compatibile di terze parti (come il buon Banshee per Linux), tu sarai in grado di “streammare” la musica dalle loro librerie, ma loro non saranno capaci di fare lo stesso, per via del metodo di autenticazione differente. Questo problema può essere parzialmente risolto aggiornando la tua copia di iTunes all’ultima versiona disponibile: la versione 7.0 sfoggia la graziosa funzione Coverflow e supporta le librerie multiple, quindi penso che valga la pena aggiornarsi). Ma se i tuoi amici non sono nè utenti Windows nè utenti Mac, o se non vogliono/possono usare iTunes o se non possono aggiornarlo (iTunes 7.0 richiede più risorse rispetto ad iTunes 6.0), sono fuori gioco. Se la musica è centralizzata su un unica macchina (come la “bestia” da 2 TB che citavo prima), il problema può essere risolto in un attimo: basta condividere la musica usando iTunes 6.0 (o precedenti) o un server DAAP di terze parti, come il magnifico Firefly Media Server (open source e multi-piattaforma). Uso iTunes dalla versione 4.7 o 4.9 e ho sempre apprezzato le sue capacità di condivisione. Come ogni prodotto o tecnologia Apple, il protocollo DAAP funziona sempre, ovunque e non hai bisogno di un manuale di 128+ pagine solo per configurarlo. Quando non avevo un router, ho usato il protocollo DAAP molte volte in reti wireless ad-hoc (cioè tra 2+ computer senza router o access-point) e tramite cavi cross. Tutto ha sempre funzionato alla grande. La qualità dello streaming è superiore e anche se connessi tramite una modesta wlan 802.11b l’audio non salta mai. Per la definizione di “netlabel” vi rimando alla sintetica ma esaustiva definizione che ne dà Wikipedia al seguente indirizzo: (http://it.wikipedia.org/wiki/Netlabel). La migliore netlabel in assoluto per quanto riguarda la musica elettronica ricercata a livello timbrico e melodico. Dub, techdub, ambient, techno… pubblicano un po’ di tutto ma sempre attenendosi a rigidi canoni qualitativi, che spesso portano ad avere un distacco tra un release ed un altra di parecchi mesi. Comunque, meglio questa politica di rilascio rilassata che non una politica di rilascio frenetica tipica di alcune netlabel, che spesso puntano sulla quantità e non sulla qualità, pubblicando qualsiasi merda la gente gli invii pur di ingrandire in fretta il proprio catalogo. Fino a questo momento, Thinner ha pubblicato circa 95 release (“circa” perché alcune non sono più disponibili), per un totale di oltre 5 GB di materiale. Il server a cui si appoggiano per i download (ftp.scene.org) è molto veloce ed il sito, oltre ad essere esteticamente molto gradevole, è un esempio di usabilità e di completezza informativa; infine, ogni release è dotata di copertine e di tag corretti (“[codice_release] Titolo Album”). Releases consigliate: AER001, AER004, AER007. Grande musica e grande sito: bello, completo di tutte le info necessarie e facilmente navigabile! Anche in questo caso, si parla di musica elettronica, con una gradita tendenza verso l’hip-hop e il dub fatto bene. 37 releases all’attivo, oltre 2 GB di musica, fornita in doppio formato: mp3 (per gli iPoddisti all’ascolto) o Ogg Vorbis. Consigliatissimi: Bangguru (trip-hop), Authist&Dub One! (dub), Sel & 12bitPhil (hip-hop), Broke Gringos (hip-hop), Disrupt (8bit dub). Ultimamente è possibile acquistare anche le fichissime e coloratissime spillette con il logo della netlabel, ovvero una simpatica faccina Gorillaz-style =). Releases consigliate: id007, id014, id021, id023, id026, id027. I read daily a lot of italian and english forums, and sometimes I stumble upon some tender/funny things like these. “[Windows] Vista is a fading theme park with a few new rides, lots of patched-up old ones and bored kids in desperate need of adult supervision running things” (Stephen Manes, for Forbes magazine). If you’d like to automatically get songs from mp3 blogs to discover new music without pain and you’d like to automatically add them to a pre-defined playlist in iTunes when the download ends, so you have just to fire up iTunes and click “Play”, well.. this tip is the right solution for you! For the download part, I personally use the free beta of Peel, a sort of mp3 blogs client that permits you to subscribe mp3 blogs exactly like you do with your podcasts, but also the nice script described in the post titled “MP3 Blogs and wget” by Jeffrey Venn should work fine. As you see, you will have one new folder for every new blog you will subscribe to and Peel will download there the mp3s (a nice list of urls to start from is available at: http://musicblogwiki.elwiki.com/Music_Blog_Directory). For the auto-add part, I did an applescript that points to an Automator workflow: the first one goes to your “Folder Action Script” folder (something like: /Users/eldino/Library/Scripts/Folder Action Scripts), while the second goes whatever you want. Ok, let’s start! 1) By default, the “eldino’s AA2P-Folder-Action” workflow adds the mp3s to a pre-made playlist called “AA2P” (Auto Add To Playlist): this playlist must be manually created inside iTunes before beginning the game. 2) After you created the playlist, start Automator and drag the “eldino’s AA2P-Folder-Action.app” on its icon on the Dock: Automator will now show you the “internals” of my workflow: you can leave them by default or modify them for your needs (by changing the name of the playlist or the Growl notification, for example!). 3) If you change the workflow, Save it; then “File -> Save as Plug-In -> Folder Action”: give it a name and save it in the “Folder Action Script” mentioned above; then link it to your first mp3 folder. 4) Now go to your other mp3 folders, right-click on them (or ctrl-click), and add/configure them to use the AA2P script. 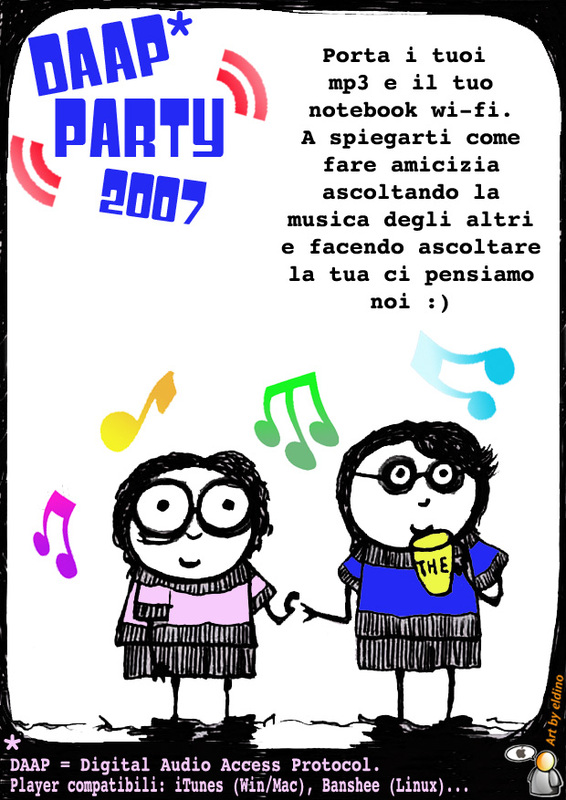 You are currently browsing the il blog di eldino blog archives for giugno 2007.